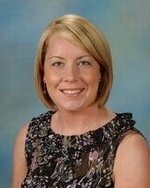 Mrs. Kate Wade started her teaching career at Discovery Middle School in January of 2007. She taught regular 8th grade math and Honors Algebra. Wade was the assistant coach of Bob Jones Swimming and Diving and then transitioned to head coach of James Clemens Swimming and Diving when the team was founded. Wade transferred to James Clemens High School in August of 2013. While at James Clemens, Wade taught Algebra and Algebraic Connections. In January of 2015, Wade transferred to the district level to serve as the Secondary Math Specialist for Madison City Schools. Wade is now excited to return to her home school as an assistant principal. Wade is a graduate of the University of Alabama in Huntsville where she received her B.S. in Mathematics. Wade received both her Master’s and Educational Specialist degrees in Instructional Leadership from the University of West Alabama. Mrs. Kate Wade lives in Madison with her husband, GerDono, and their 3 children: Jude (7), Holland (5), and Jace (3). Jude is a competitive gymnast, Holland enjoys playing recreational soccer, and Jace is training to be a superhero. The family enjoys traveling and going on new adventures in their spare time.